The Bird is in the place. She moves away from the observer, of the right form and with an elegance that you obtained of an wonderful form. Congratulations, Fernando Dinis. Excellent picture! Very much it is pleasant!!! 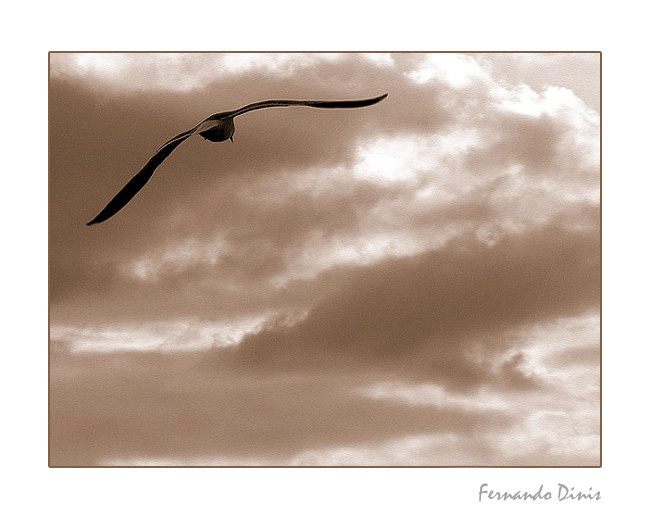 I can smell the wind..
Lovely soaring motion...I can almost feel the air rising under the wings. Well captured scene with nice mood!